The San Luis Resort, which consists of three properties and Convention Center, has selected ALICE to enhance their internal communication, concierge operations, and guest engagement at their beachfront property. ALICE is the hospitality industry’s leading operations technology, connecting every department of the hotel with one platform for all staff communication and guest requests. Last year, ALICE acquired concierge software provider GoConcierge to augment its technology and customer service offering. Prior to implementing ALICE, The San Luis Hotel communicated with radios and documented guest and internal requests manually. The hotel team sees ALICE as an opportunity to respond to guest needs more quickly and provide service efficiency across their hotel teams without having to increase labor cost or staff count. The rollout of ALICE’s suite of products on the property includes ALICE’s concierge software, preventative maintenance software, and integrated hotel guest messaging. Located a short distance from Houston on the Texas Gulf Coast, The San Luis Resort offers the perfect Galveston Island experience with lavish accommodations, breathtaking views of the Gulf of Mexico and personalized service. With such customized services, The San Luis Resort has a strong base of loyal guests, and was searching for a technology solution they could help them deliver the best experience the island has to offer. 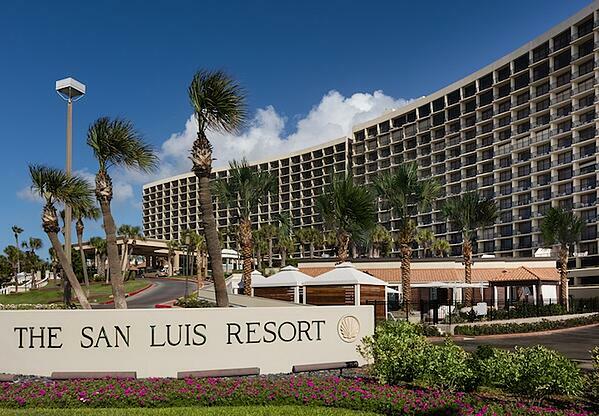 “ALICE allows us to enhance the guest experience, providing consistent and reliable service for our returning customers,” said Steven DeFelice, Regional Director of Sales for The San Luis Resort.